This picture shows a 1947 version. This tractor was originally introduced by Cletrac in 1939. 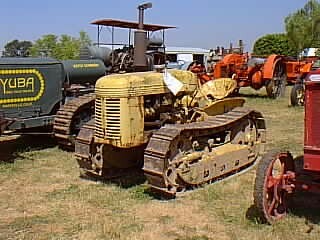 In 1944 Oliver bought the Cleveland Tractor Company (Cletrac) and continued the production of this line under the name Oliver Cletrac.